Complex products require manufacturing and assembly in clean and controlled environments. 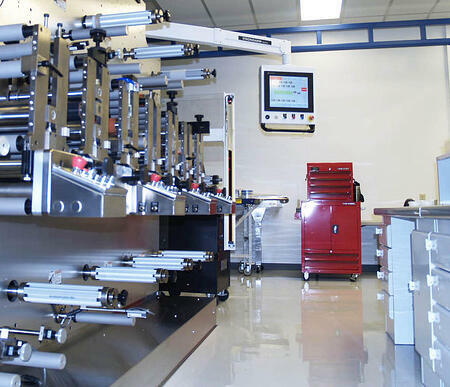 Strouse’s state of the art ISO 7 certified clean room is the ideal environment to manufacture your complex medical and electronics components. By controlling certain environmental variables we are able to manufacture adhesive products in a controlled and capable process. ISO 7 certification, also known as Class 10,000, states the maximum particle count must not exceed 352,000 air particles (.5 microns in size) per cubic meter. To put this in perspective ordinary room air contains at least 35,200,000 particles per cubic meter, making our clean room over 100 times cleaner! 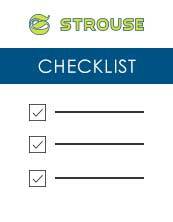 Strouse’s clean room also has the ability to control humidity levels with an industrial dehumidifier. The clean room is also equipped with a separator filter dryer (SFD). This device helps Strouse to produce hospital grade air for the clean room. The SFD separates dirt and air particles, filters the air, and removes any moisture to produce high quality hospital grade air. Moisture and air particles can be detrimental to medical and electronics products. If adhesives and flexible materials are exposed to airborne particles and moisture, this can promote the growth of bacteria and mold. This shortens the shelf-life of materials by altering adhesion levels and can ruin products that are applied directly to skin. Our clean room is equipped with some of our most sophisticated machinery. This provides us maximum capability for the projects that require the strict regulations. Are you working on a project that requires clean room manufacturing or clean room assembly? Contact us today and we can start working on your project.